71 fans voted for female individuals in Mocorunning's Preseason Cross Country Poll. Below are the composite results of that poll. Nora McUmber (Senior, B-CC): It's hard to imagine a runaway winner on the girls' side with such a strong field in 2014, but McUmber's achievements merit her ranking. Her ridiculous 17:34.30 at the NXN Southeast meet speaks for itself. 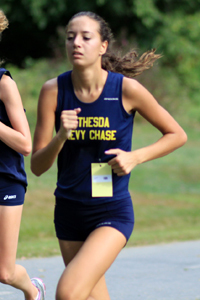 Kiernan Keller (Senior, W. Johnson): Keller was very consistent in the 2013 season, never finishing lower than sixth in a Maryland race during the season. 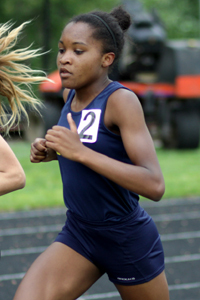 She turned it up during the track season, posting times of 4:59.28 and 10:49.36 in the 1,600 and 3,200 respectively. 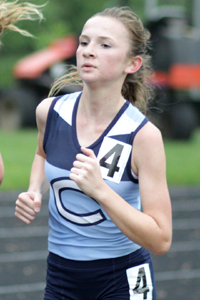 Beakes had her remarkable high school career interrupted by injury during her junior year, but if she returns completely healthy, B-CC could very well have two runners challenge the 18:00 mark at the county championship. Srour did not race much in the 2014 outdoor season, but she should come back strong and healthy for the Bulldogs this fall. 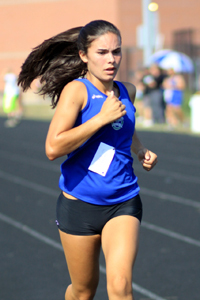 Her wins in the 800 and 1600 at the indoor county championships show that Srour is a top runner in the county when healthy. Second, second, and fourth. Those were Noall's finishes at the county, regional, and state championships last cross country season. It may be hard for her to earn her first victory at those meets with a very crowded field, but she's as consistent as they come. Murphy burst onto the scene during her sophomore year for the Wildcats, lowering her 5k personal best by over two minutes. Her emergence helped Walter Johnson surge past B-CC at the end of last season, and another strong season from her is needed if Walter Johnson is to hold onto the top spot in the county. 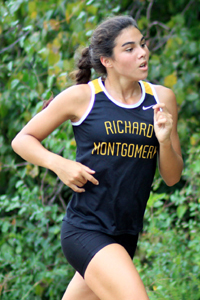 El-Masry has been a postseason sensation in her first two seasons at Richard Montgomery. 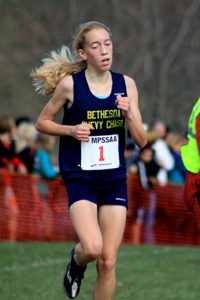 She had back-to-back top three finishes at the last two XC county and state championships. 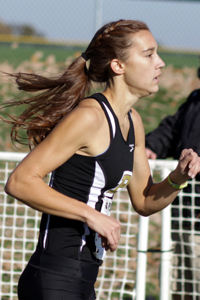 The first non-4A west runner on the list, Beautz was the key to Poolesville's second-place finish at last year's 2A state championships. She looks for a third straight season with a top-5 finish at the county championships in 2013 � something only she, McUmber, and El-Masry have the chance to do in 2014. Fry will be a big part of the 2014 B-CC team behind McUmber and Beakes. 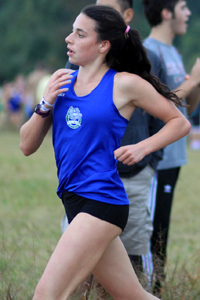 She has finished in the top 25 at the county championships in each of her first three seasons for the Barons and will look to finish in the top ten for the second straight season. Every year it seems another freshman bursts onto the scene on the girls' side, and Reicin fit that bill in 2013. 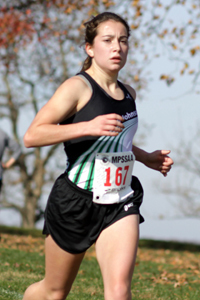 Top ten finishes at the county and regional championships in 2013 set her up for an encore sophomore year at Churchill. 57 fans voted for female teams in Mocorunning's Preseason Cross Country Poll. Below are the composite results of that poll. When senior Caroline Beakes returns to racing in October, she will join fellow senior Nora McUmber to create what could be the best duo the county has ever seen. B-CC's never-ending wave of runners should play to their advantage as they look to climb back to the top in 2014. Walter Johnson had everything come together at the end of the 2013 season when they upset B-CC at the regional and state meets. 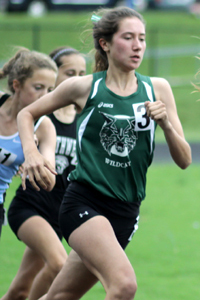 With four returning runners having clocked sub-20:00 performances, the Wildcats are poised to challenge B-CC for the county championship in October. The Bulldogs seemingly got better as the season went on in 2013, culminating in a fifth-place finish at the state championship. Four runners below 21:00 return to support Lucy Srour and Julia Reicin as they attempt to climb back into the top five at the county championships. Much like their boys team, the Whitman girls bring back nearly their entire varsity squad (8 out of 10) for the 2014 season. Erin O'Connor and Olivia Woods form a fearsome duo to match four more runners who return under 21:00. Normally the 2A and 3A schools of Montgomery County have a tough time cracking the top five at the county championships, but the Falcons barged into the top tier in 2013, finishing third at the county championships and ultimately second at the state championships. Only three of their top ten graduate, so Poolesville may be here to stay. Four of the top seven from the 2013 team have graduated for a Wootton team that finished in the top five at the county, regional, and state meets. With only three returning runners having run 21:00 or better, the Patriots are going to rely on a wave of younger runners to continue their success in 2014. After finishing second at the state championships in 2012, the Cougars slipped to 12th at the same meet in 2013. The good news: after top runner Regina Schreiber, the next eight fastest runners from last year's squad should return for 2014. Sophie El-Masry returns, but after her, just three other runners with sub-22:00 times come back for 2014. If rumors are true, not one but two El-Masry sisters will lead the Rockets at the front of the pack this season. It was a youth movement in 2013 that brought success to the Northwest girls team: their state varsity team was comprised of four freshmen, to go with two juniors and a senior. Six of their top seven will return in 2014, including those four freshmen. The future is looking bright for this young Northwest squad. The Clarksburg girls only had 14 runners last season, but of those 14, only one graduated, meaning that Clarksburg should have a nearly identical team this year. With four returning runners sporting sub-22:00 PRs, the Coyotes will try to reach the top ten in the county for the first time since 2011. Tie breakers: Fans were asked to predict the winning individual time and team score. The average responses were 18:12.9 and 56.6 points. In between Heaven and Hell is not Purgatory, but Wheaton.